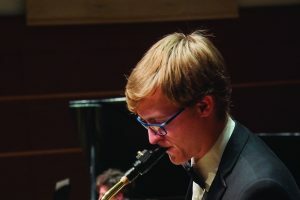 W&L Jazz Ensemble and Vosbein Magee Big Band Present ‘Hot Jazz’ The concert is free and open to the public, and no tickets are required. The Washington and Lee University Jazz Ensemble will join forces with the Vosbein Magee Big Band for an evening of “Hot Jazz” on Nov. 29 at 8 p.m. at the Lenfest Center on the W&L campus. 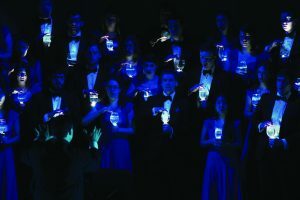 The concert is free and open to the public, and no tickets are required. After intermission, the Vosbein Magee Big Band will take the stage. This ensemble features professional musicians from around the region playing music that can’t be heard anywhere else. Co-leader Chis Magee is the trumpet soloist, along with Tom Artwick on alto sax and Tom McKenzie on trombone. 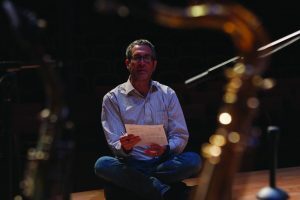 Co-leader Terry Vosbein is responsible for several of the compositions to be heard. A highlight of each fall concert features the W&L seniors from the Jazz Ensemble sharing the stage with the professional band. 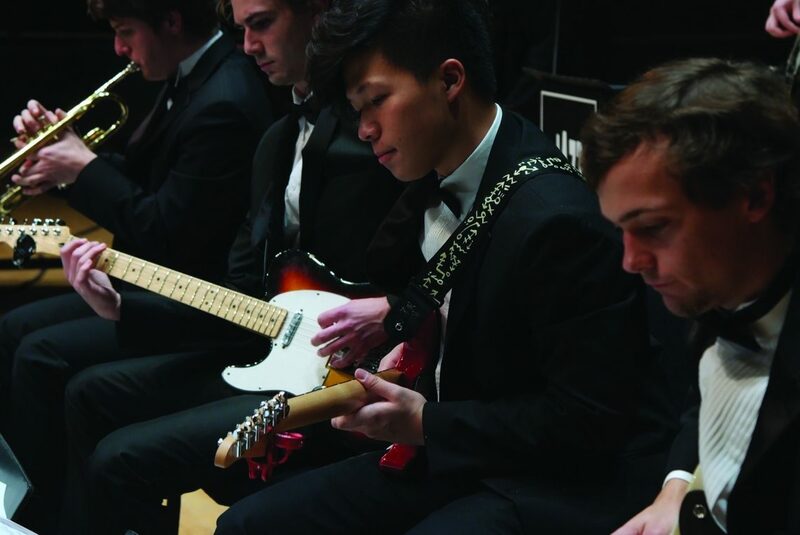 Guitarists Joe Wen and Bennett Newman, bassist Clark Mabey and pianist Tommy Willingham will join the Vosbein Magee Big Band for a blues blow-out. The concert will be streamed live online here.